Hey Photo Fans! 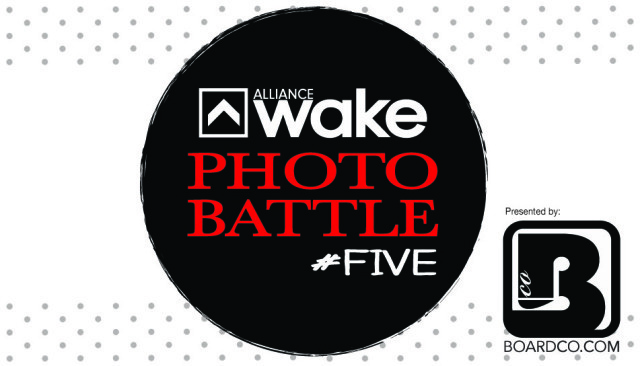 The Alliance Photo Battle is back and after sorting through nearly 130 submissions we have whittled the contest down to 16 finalist pictures! These 16 will go head-to-head tournament style for the grand prize from BoardCo.com and it is up to you to decide who wins. 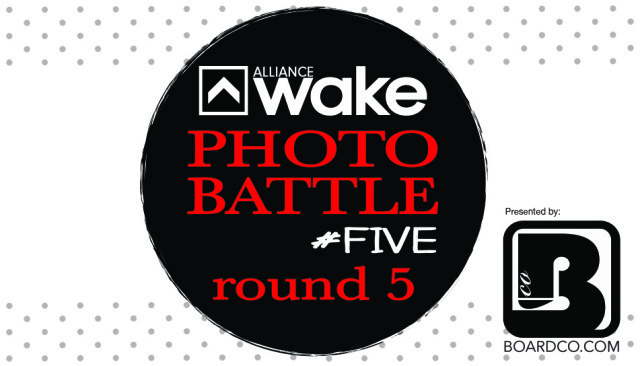 After last weeks win by Ben Canevari in Round 4, Round 5 features two great photos. 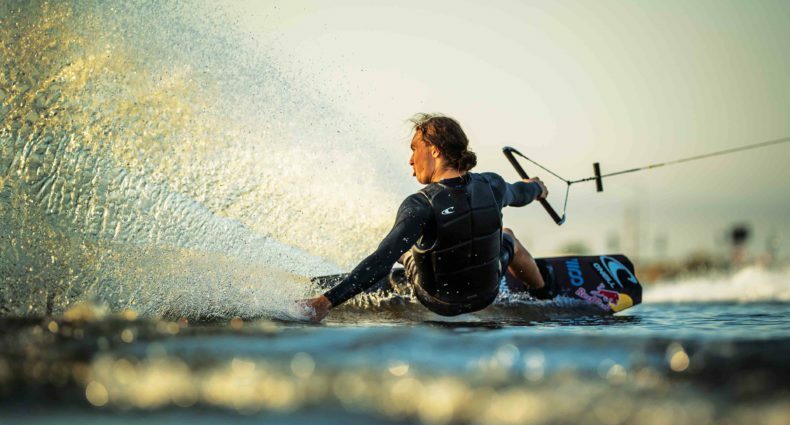 The first is of Ákos Hegedűs sliding a tube feature. 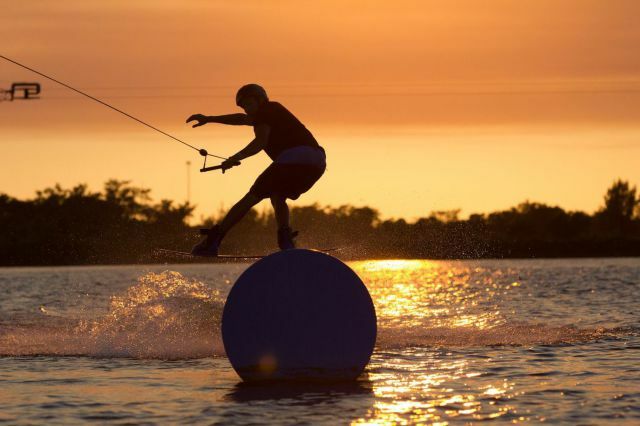 Taken by Max Blakesberg, cool shot with the silhouette of the rider in front of a sunset. 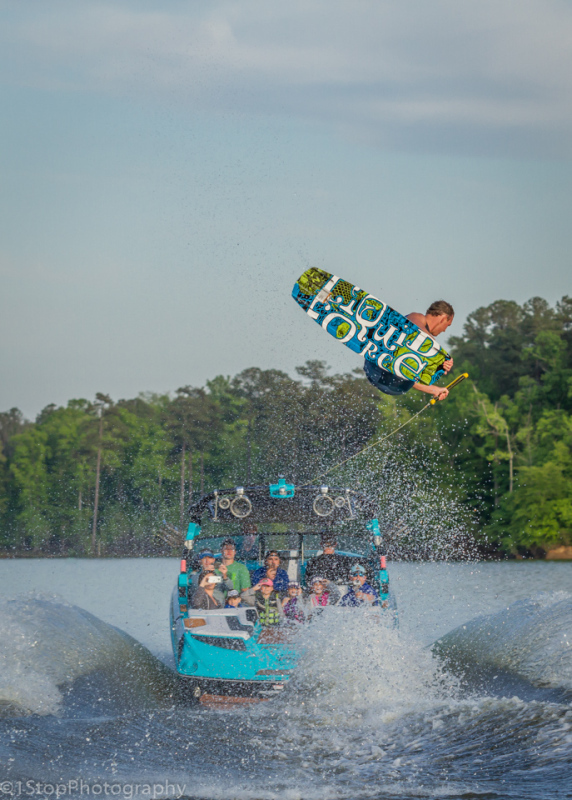 The second photo is of Stephen Pierce behind a Nautique doing a massive glide. Taken byMichael Williams, great photo from behind the boat getting the whole crew out on the boat as well. So which one moves on to the next round of the 2015 Photo Battle? Vote now and decide. Which Photographer Deserves To Move On? What a fabulous photograph. Good luck to the photographer who clearly deserves to win. Max deserves to win . It is areally great photo! Just for the record I was with max during the shoot, (at ski rixen) and he was actually driving a john boat AND taking pictures at the same time, so that he could ensure the pipe was head on and not to the side. It was absolutely insane to see how well he was able to maneuver the boat and take the pictures without messing up. Love Mucharls photo those action shots hard to get looks fabulous! Vote for Michael ! Love this action photo really captures the moment! Ya i have filmed boat and cable that which makes me vote for #2 because i know that cable shot is easy when suns going down just hit button the chase boat shot is much harder to be perfect on ans verry well done! Wow!! Awesome! I voted for Max!